As a committed admirer of Japanese wood block printing ‘Ukiyo-e‘, I chanced on the evocative, remarkable prints of Andō Hiroshige much later, overshadowed as his work was, by the more towering and venerated Katsushika Hokusai. 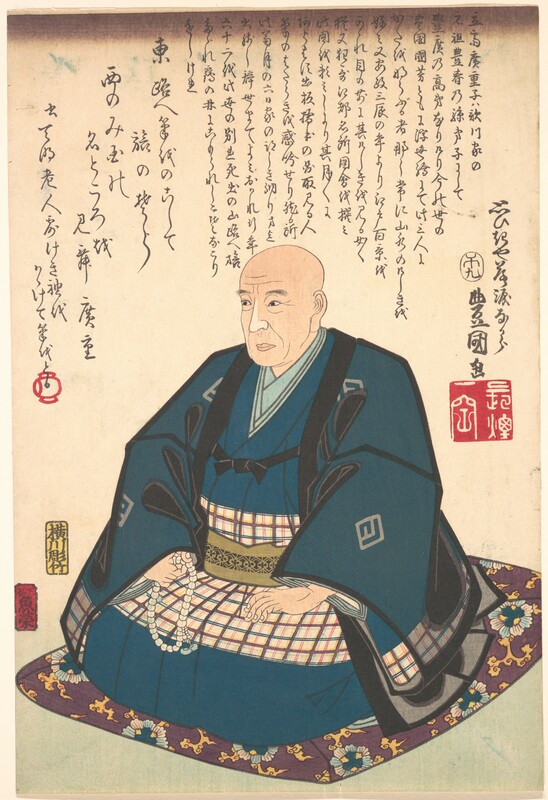 Much younger to Hokusai, though his contemporary, Hiroshige (along with Kunisada) remained one of the most prolific ‘story-tellers’ of 19th C Edo period Japan till his ‘retirement’ as a Buddhist monk, and subsequent premature demise. Hiroshige is in his most communicative space when working on themes around peopled landscapes, in weaving in human activities around evocative topography and elements of the natural order. I find his work less encumbered by classical ukiyo-e traditions, and in exploring the possibilities of perspective and vantage point, accompanied by extremely keenly observed human action, Hiroshige remains an unparalleled artist-storyteller of any time, much less Edo period Japan. Take a look at his ‘69 Stations along the Kisokaido‘. 1-70 stops along the well developed Kisokaido road connecting Kyoto and Edo (present day Tokyo). Hiroshige depicts 69 of these stops.